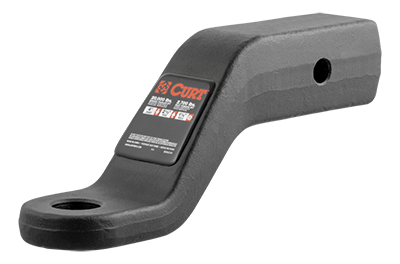 CURT 2-1/2" ball mounts are the perfect companion to our class 5 Commercial Duty trailer hitches, featuring a 2-1/2" x 2-1/2" shank. We offer welded and forged models. All are rated for exceptional towing capacity and have a durable powder coat finish for rust resistance.